Our story begins in 2007 when Vegas Ink & Toner opened as a franchise print cartridge and printer repair shop under the name Rapid Refill of Las Vegas. Our customers have come to know us for our prompt, many times same-day, delivery service, expert printer repair and of course, our name brand and eco-friendly compatible ink cartridges. 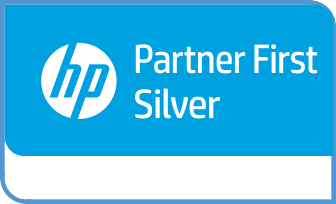 In 2015 we moved away from the franchise to better serve our customers by adding additional services and features – and that list keeps growing through today! Most recently we moved our retail store to a more centralized location, providing easier access for walk-in customers and quicker delivery service. We are also expanding our product lineup to include printer sales. After moving to Las Vegas in 2012, Yana had a desire to become a part of the local business community and experience doing business locally. After a lengthy search, she decided Vegas Ink and Toner was a perfect match. Yana purchased the business in the summer of 2016. With more than 20 years of operational and management experience, Yana strives to provide our customers with the highest quality products and services at an affordable price every day. Yana lives in Henderson with her husband and two children. She especially enjoys skiing, yoga, and training her Thai Ridgeback dog, Troy. 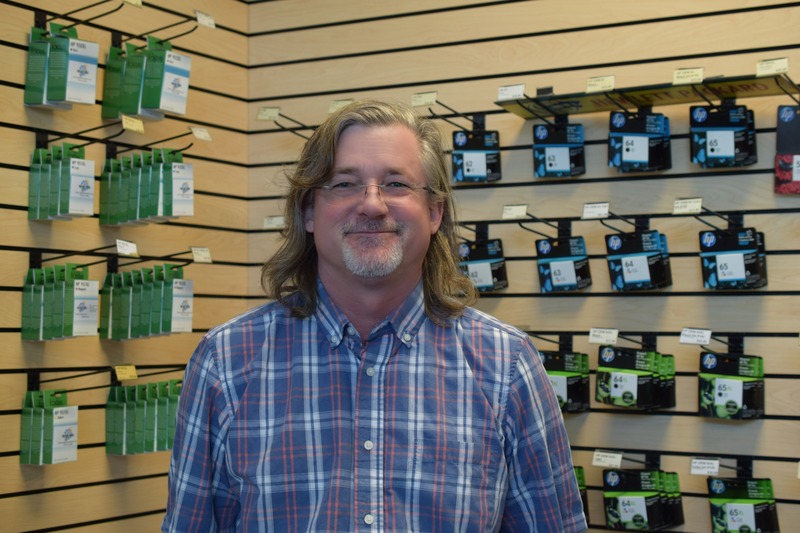 With more than 25 years of management experience, Matt manages operations at Vegas Ink & Toner. From diagnosing printer problems to selecting the products that best fit your print needs and budget, his expertise provides you with the best service for all your print needs – right now! 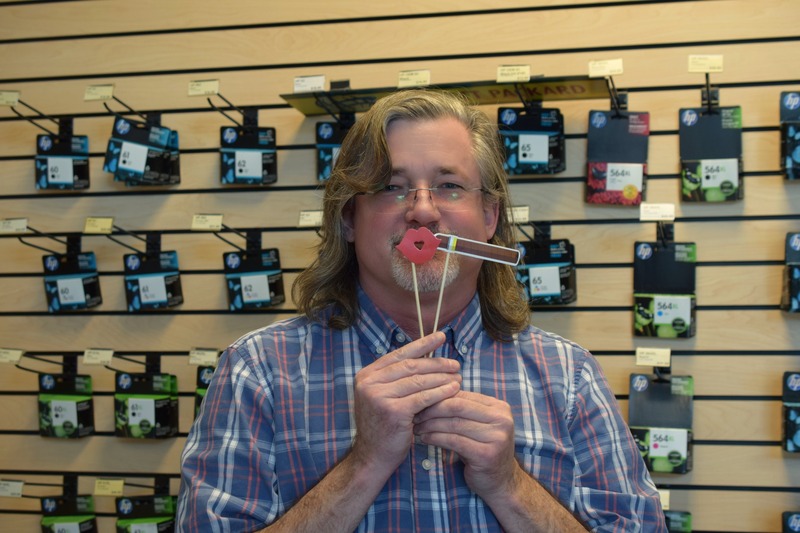 Matt works diligently to ensure we maintain the largest inventory of ink and toner cartridges in the Las Vegas valley so we always have your cartridge in stock and you never miss a deadline. Outside of work, Matt enjoys photography and playing the guitar. What’s Matt’s #1 Print Tip? Don’t buy a printer just because it’s inexpensive. Think about your print needs before you buy. If you don’t need to print in color, don’t buy an ink jet printer. It will cost you more in the long run. Diane was born in Chicago and then lived in Southern California for over 30 years. In 2005, Diane and her husband Mike moved to Las Vegas. Diane has extensive experience as an Agency in-house underwriter for life, disability and long-term care insurance, as well as a wholesale credit manager. 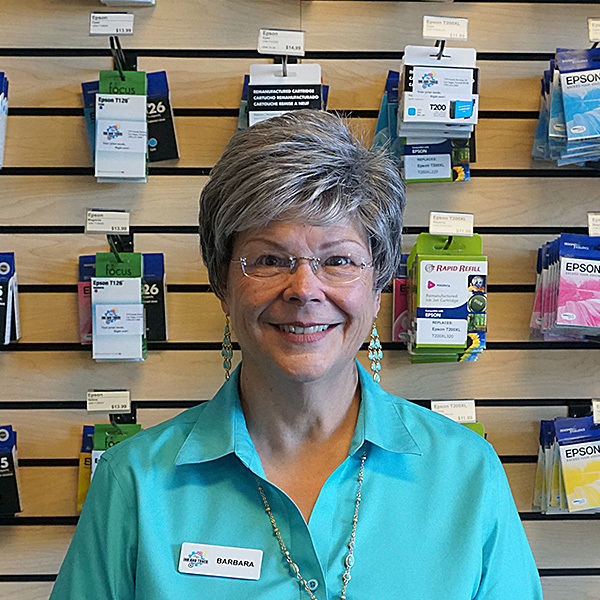 If you’re a customer of ours, you have most likely spoken to Diane on the phone, as she makes all follow-up customer satisfaction calls and AR collecting. Diane and Mike have a son and two grandchildren. She enjoys cooking (and eating!) Italian food. On the weekends, you can find Diane walking the desert or reading. 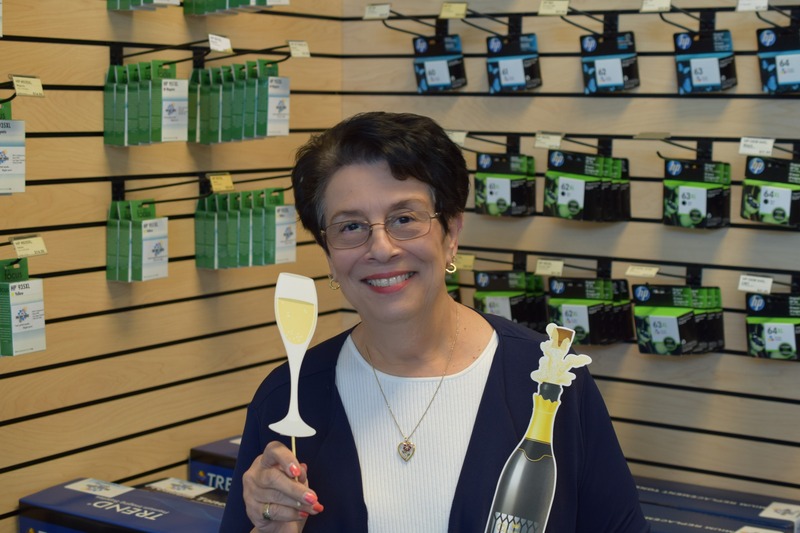 Barbara Koich is passionate about creating community partnerships that benefit the customer and the business. Customer satisfaction and service are her top priorities. Barbara has more than 20 years experience in business development and was named “Salesperson of the Month” many times by numerous employers. 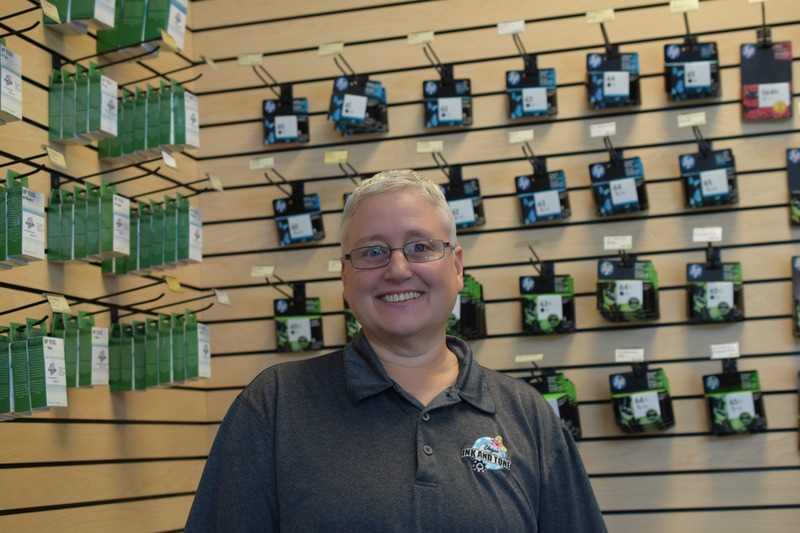 In addition to working at Vegas Ink and Toner, Barbara is a small business owner herself, lending her vocal talents to local businesses by providing custom recordings for business phone systems. Barbara earned an MBA in Marketing in 2009 from LeMoyne College (Syracuse, NY) and a BA in History/Political Science from the State University of New York. What’s in her coffee: doesn’t drink coffee! What’s Barbara’s #1 Print Tip? 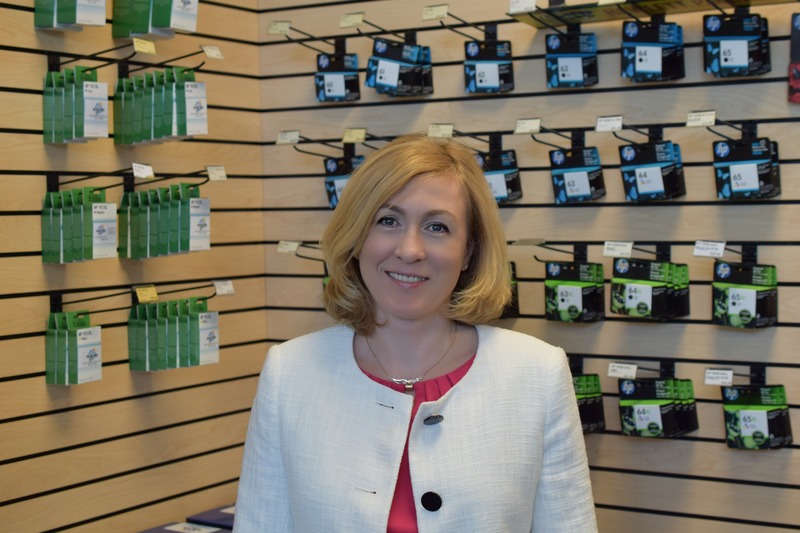 Don’t be afraid to ask questions before you buy a printer or a cartridge! 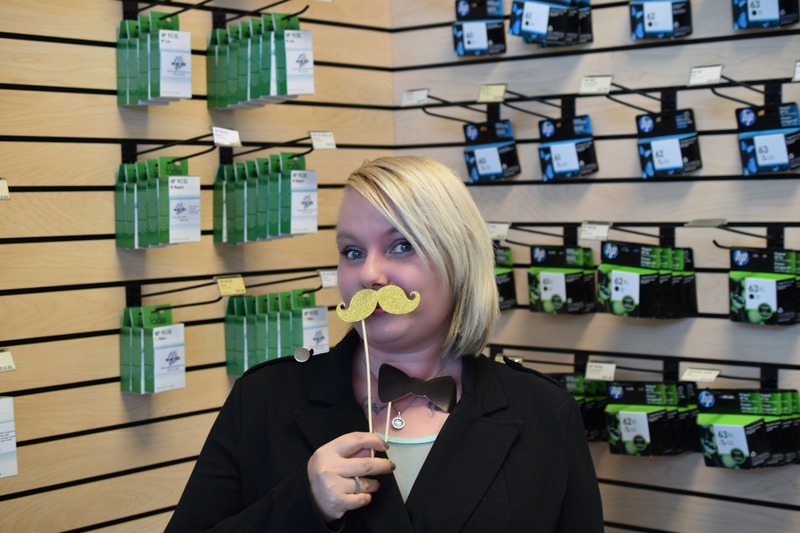 In the ink & toner industry, some things are not what they seem. For example, if a cartridge says it will give you 5000 pages, the manufacturer counts a certain amount of ink instead of our idea of a full page of text or pictures. I am happy to explain these terms to you and set realistic expectations, than have you be surprised after purchase! Yulia is the other half of this family business. She has been overseeing the marketing and community involvement in addition to operations while completing her Undergraduate Business degree. 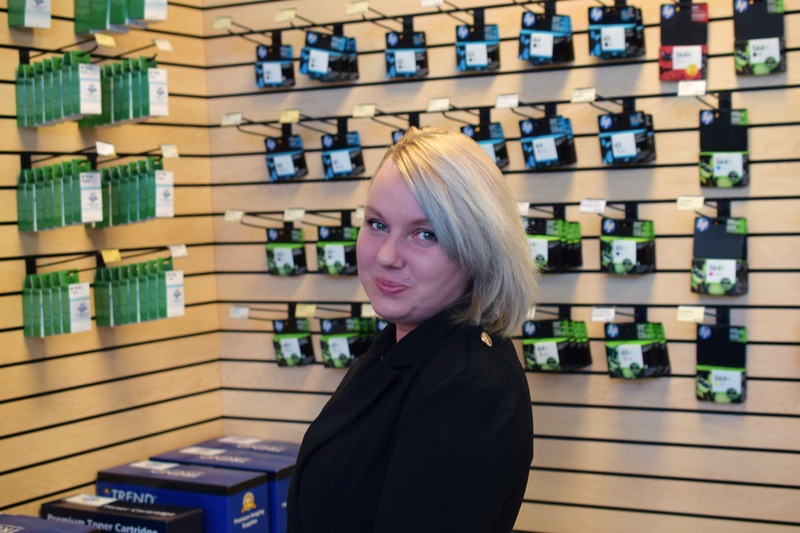 Yulia is inspired by Vegas Ink and Toner’s culture and its commitment to customer service, which make her job of highlighting the business’s strengths and values easy. 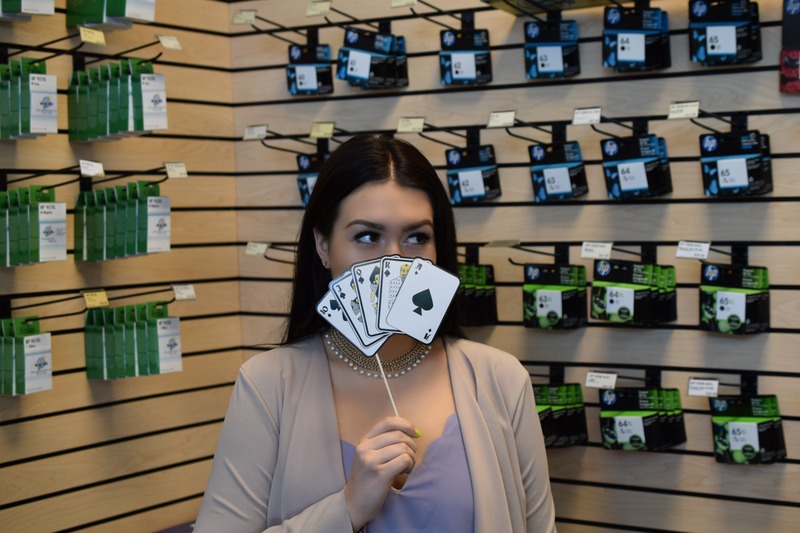 Yulia has recently moved back to Las Vegas after graduating from Babson College in May 2018. On the weekends, you can find her painting, going to concerts, or cooking. What’s in her coffee: double shot espresso and milk! Ashley was born in Washington, DC, but spent most of her childhood going back and forth between Wisconsin and Florida. She came to Las Vegas five years ago to be closer to her mother, Tina. While in Appleton, Wisconsin, she graduated high school and gathered experience in factory work. 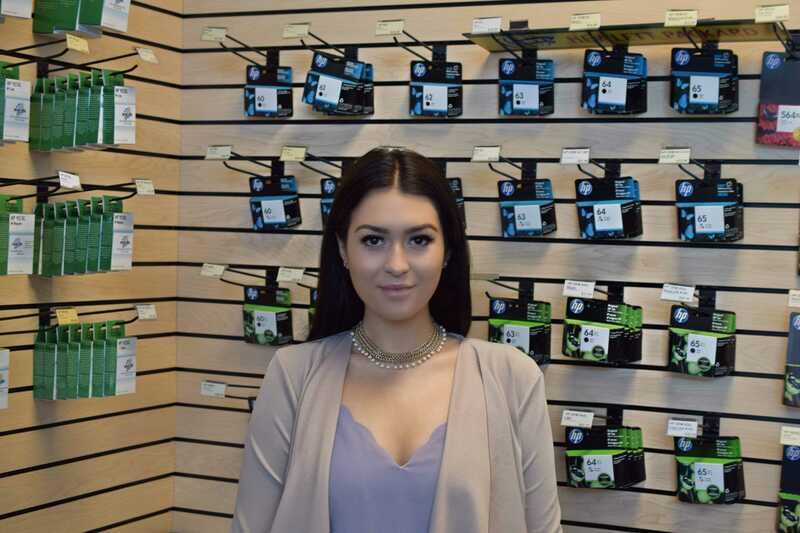 Ashley shines here at Vegas Ink and Toner as our Lead Sales Associate. She does everything from fulfilling orders, to answering the phone to running our cash register plus so much more! Ashley is a newlywed and loves spending time with her husband, William and her dog, Chico. She enjoys writing poetry and music. 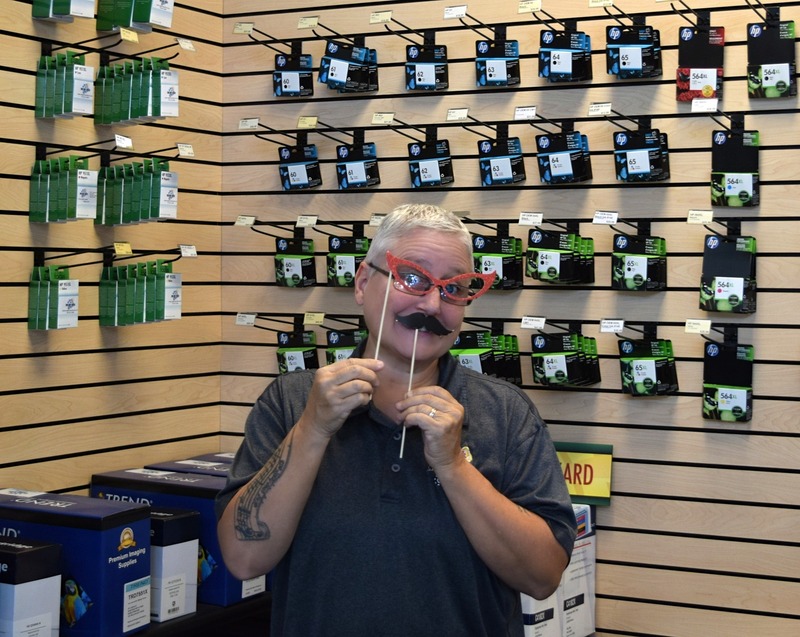 If you require a delivery from Vegas Ink and Toner, you will meet Tina! 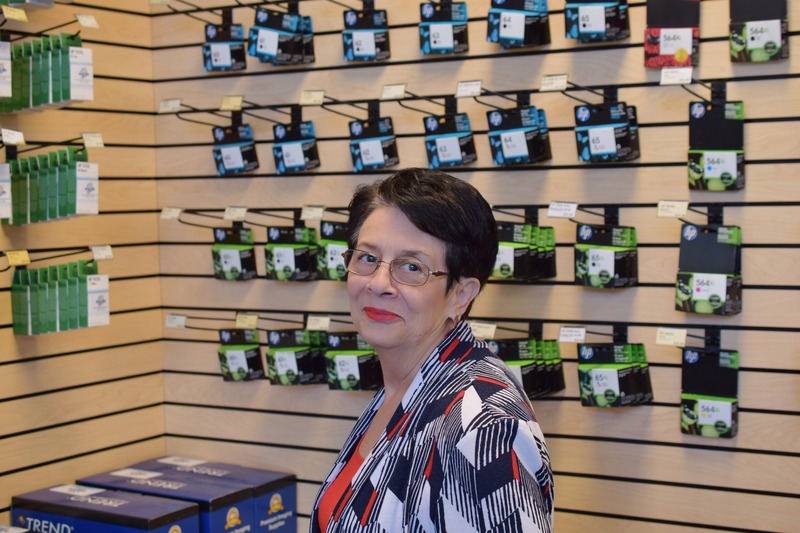 Tina is our trusted driver that makes sure your ink and toner is delivered to you or your office in a timely manner. She grew up in LaBelle, Florida before joining the United States Army in 1983. After a 10 year service, she ended up in Appleton, Wisconsin where she gained experience in the rich industrial field. She worked in factories and industrial plants while being a mother to our Lead Sales Associate, Ashley. Tina moved to Las Vegas to be closer to family. She has owned a karaoke business for 17 years and continues to give the gift of song in the evenings around the greater Las Vegas area and enjoys playing Keno at Skinny Dugans with her wife, Dee.